So far in our series on saving money, we’ve covered why you should save and why you should pay yourself first. Now it’s time to turn your attention to where to put your savings. 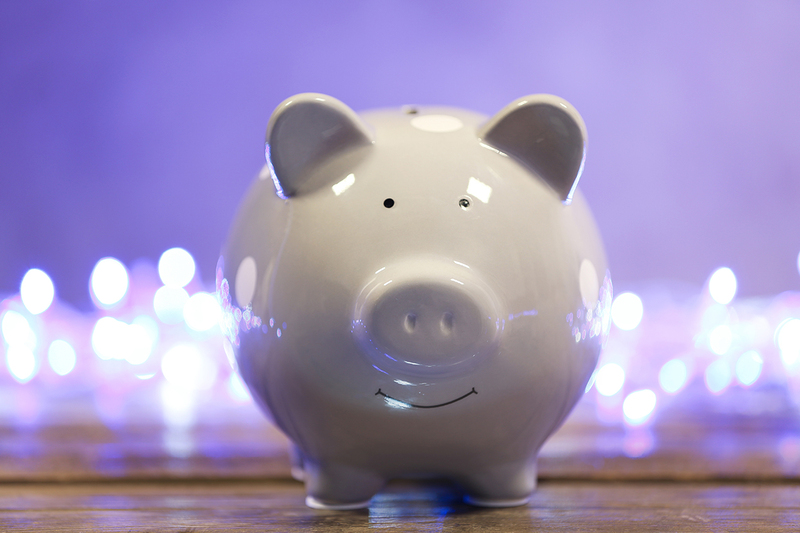 Here are four ways to save money, and none of them involve a mattress or piggy bank. These savings instruments do more than hold your money until you need it; they help you earn money. Each of these four ways to save money offers benefits. Each also has drawbacks or restrictions. When you understand what each savings instrument has to offer, you can use it to your best advantage. And when you spread your savings among all four ways, you’ll maximize your rewards while minimizing your risk. If you don’t already have one, you should open a basic savings account. If all your money goes directly to a checking account, you aren’t earning enough interest on your balance. Some of your disposable income should be set aside. Remember, “disposable” doesn’t mean, “to be spent immediately”! You’re not thinking strategically if your attitude is “money in; money out.” If you are, your thinking is too short-term. Opening a basic savings account will introduce you to long-term thinking. A time will come when you need extra money later. That’s where a good savings plan is essential. Money in a savings account isn’t just “sitting there.” It’s working for you. Your savings account is—or should be—contributing to your income. At United Financial, it’s easy to set up a savings account. Your initial deposit and minimum balance is $25. To start earning a dividend, you only need a minimum of $100. Your Savings account is flexible and liquid. Because you have fewer restrictions on withdrawing money from your savings account than from IRAs or CDs, you will still earn dividends on your balance, but not as much as those other savings instruments. If you’re just starting out, a basic savings account is your best first choice. Other ways to save can earn better returns, but they often come with more restrictions. Until you have built up enough funds and have proven you have the discipline to save, a Savings account is a great place to begin saving. As Americans started living longer after retirement, their need to save for retirement increased. You could simply have one savings account and keep your retirement funds there. But for most of us it’s too tempting to use those funds for other purposes before we retire. Both have tax advantages, but the difference is when you get the tax break. Traditional IRAs allow you to deduct your contribution (up to a point), reducing your taxable income for that year. You will pay taxes when you withdraw the funds in retirement. Roth IRAs give you a tax break when you withdraw the funds, not when you contribute to them. You pay your tax upfront, so you don’t pay taxes again later. So which is better for you—a tax break now or later? Roth IRAs have restrictions on how much you can contribute depending on your income. If you earn too much, you can’t take advantage of a Roth. Traditional IRAs don’t have an income cap, but you will be limited to how much of your contributions are tax deductible. At some point, you’ll withdraw your funds. With a traditional IRA, you’ll be penalized if you withdraw funds before age 59½ and you must start withdrawing funds at age 70½. Roth IRAs don’t incur penalties based on your age, but you’ll be penalized if you withdraw funds before your first Roth contribution is five years old. These are only highlights; you’ll want to take a closer look at these ways to save to determine which IRA is better for you. United Financial will be happy to help you sort out those differences and advantages. Learn More about IRA options. For a higher return on your investment than a basic savings account, consider a Certificate of Deposit (CD). A CD limits your accessibility to your money for a specific term, but the trade-off is a higher locked-in rate of return on your deposit. When you have more than you need—at least what feels like enough for you—in your savings account, consider placing funds into CDs. When the term comes due, you can decide whether to access those funds or reinvest them in another CD. At United Financial most, but not all, CDs require a minimum deposit of $500. And because there are penalties for early withdrawals, make sure your emergency fund is large enough to cover unexpected expenses before committing funds to a CD. By staggering your term lengths, or “laddering” your CDs, you can set up a schedule to have a CD available to withdraw or re-invest every six months. That way you have funds available for unforeseen emergencies while the rest of your funds are earning more for you than your savings account. Of the ways to save, CDs can offer both security and flexibility. Learn more about CD options. No one ever says, “I made a killing with my IRA.” If you’re looking for the highest reward, you’re looking for investment opportunities. Just remember that higher rewards come with higher risk. Because you can potentially lose money, make sure you have a good cushion in your other savings instruments to soften the blow should your stock tank. When you buy stock in a company, you become a part owner or stockholder. As the company’s fortune goes, so does your investment. When the market goes up, your stocks earn you money; when it goes down, you lose money. Over time, stocks traditionally earn money, but you can lose it all if the market crashes. Corporations as well as governments issue bonds as a way to raise money. When you buy a bond, you are lending your money. You earn interest during the bond term and at the end of the term, you receive your money back. You won’t make as much as a stock potentially can, but your investment is safer. Mutual funds. You’ve been told not to put all your eggs in one basket. You’re not sure how much you effort you want to spend researching and diversifying your portfolio on your own. A mutual fund could be a good option for you. A professional fund manager provides a mix of stocks, bonds, and other investments. Your contributions are pooled with those of other investors. Now it’s up to you to research which mutual fund you want to invest in! Learn more about additional ways to invest. Among these four ways to save, finding the right balance of savings instruments for your situation can be a challenge. Come talk with us. United Financial can help you set up a diversified savings plan that will help you save smart.